Advent Physical Therapy has been serving patients in West Michigan from 13 locations throughout the last 19 years. We are committed to helping people recover from physical conditions that cause pain and difficulty moving. Don’t worry if the list above doesn’t cover your needs; it’s only a small sample of what we do. Visit our services page to get a better idea of what we can do for you, or give us a call to speak with our team today. During your first (and every) visit to Advent Physical Therapy, you will be greeted by a welcoming staff who is happy to serve you. Each member of our team is passionate about helping patients on their road to recovery. 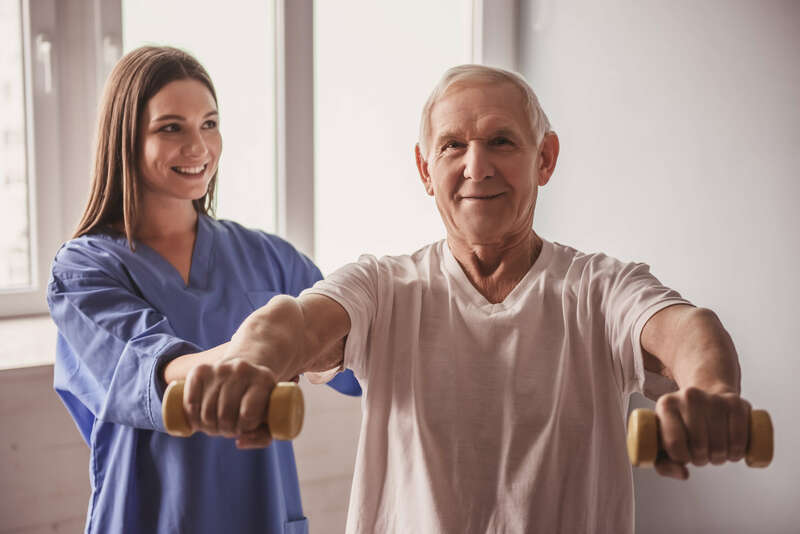 When you meet your physical therapist, he or she will develop a complete treatment plan based on the results of a thorough examination. This examination consists of a series of physical tests, some questions about your health and lifestyle and a review of your medical history. Appointments are usually finished after no more than one hour. You may be given instructions for exercises to do at home between appointments. These exercises will help you to achieve your recovery goals. Are you ready to visit Advent Physical Therapy and get help with your physical condition? Contact us today to schedule your first appointment and begin your road to recovery. Would you like to visit one of our other locations instead? Advent Physical Therapy has offices across western Michigan. To find one near you, please visit our locations page.